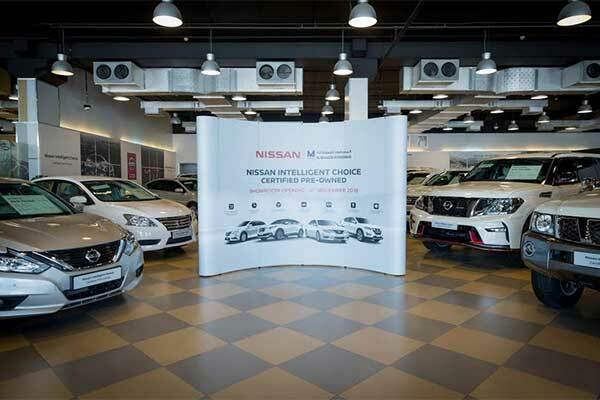 Al Masaood Automobiles, the authorized distributor of Nissan in Abu Dhabi, Al Ain and the Western Region, has inaugurated its new state-of-the-art Nissan Certified Pre-Owned (CPO) showroom in Abu Dhabi. To ensure safety standards and efficiency, all vehicles being sold at the newly opened CPO showroom have undergone stringent quality checks and technical tests in line with 167 inspection points. Additionally, they come with a one-year warranty - or 30,000 km, whichever comes first -to guarantee confidence among buyers. “The unveiling of Al Masaood Automobiles’ ‘Nissan Intelligent Choice’ program for CPO vehicles falls in line with our continuous efforts towards achieving customer satisfaction and exceeding their expectation,” said Irfan Tansel, CEO of Al Masaood Automobiles. “With the opening of our new showroom, our customers can now buy vehicles that have been certified and guaranteed by our team of highly skilled professionals who are focused on providing the best localized and personalized services. This new development coupled with our best-in-class offerings form part of our core strategies to exceed customer expectation, enhance customer experience and satisfaction level, and deliver exceptional sales services according to the highest standard of quality,” Tansel added. Commenting on the opening, Juergen Schmitz, managing director of Nissan Middle East said: “Customer satisfaction lies at the heart of everything we do at Nissan, and the opening of this new state-of-the-art CPO showroom is testament to that commitment. The objectives for launching Intelligent Choice are two-fold; firstly, it ensures the quality of both our products and services, leaving customers in no doubt of our commitment to both new and pre-owned Nissan cars.